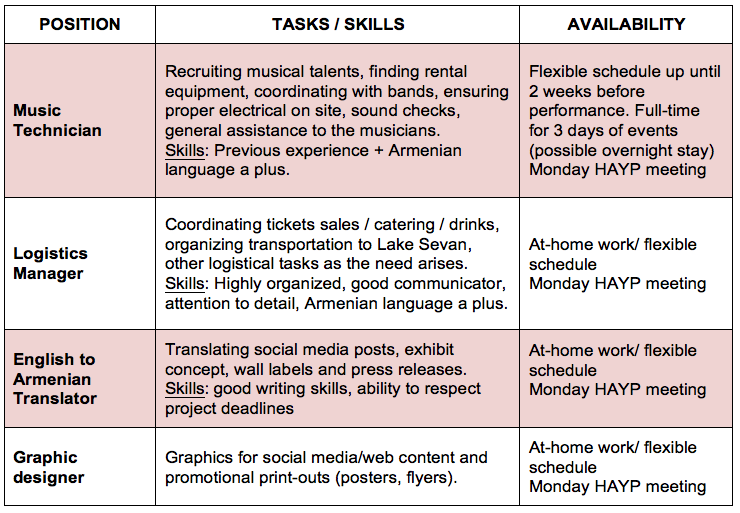 With one big exhibition planned this summer [Lake Sevan, August 28 -September 5], HAYP needs to expand its team! HAYP is a Pop Up Gallery based in Yerevan, Armenia. We organize 10 days art exhibits in various locations around Armenia, like abandoned buildings or for rent spaces. During those 10 days, we organize events (concerts, talks, performances) to keep the gallery space active. We design an exhibition concept, write project proposals, establish a budget, find investors, get in touch with sponsors, talk to artists, musicians and performers, select the artworks, install the exhibition, clean the space, paint the walls, drill, nail, stick wall labels, coordinate the events, print posters and flyers, stick them everywhere, take pictures, post stuff on social media, get people excited, present the exhibition to visitors, run private tours, make sure everyone has a good time…. All that almost simultaneously and always cheerfully, with occasional coffee overdoses. The two weeks before the exhibition launch are always hectic – that’s when we’ll need lots of manpower (drilling, carrying artworks, spreading posters and flyers around the city). If you want to volunteer for just a day and are not afraid of physical work… we may need you as well! Generally speaking: we need reliable people who take initiative and get things done. HAYP is a start-up with a limited budget so we’re looking for volunteer help. 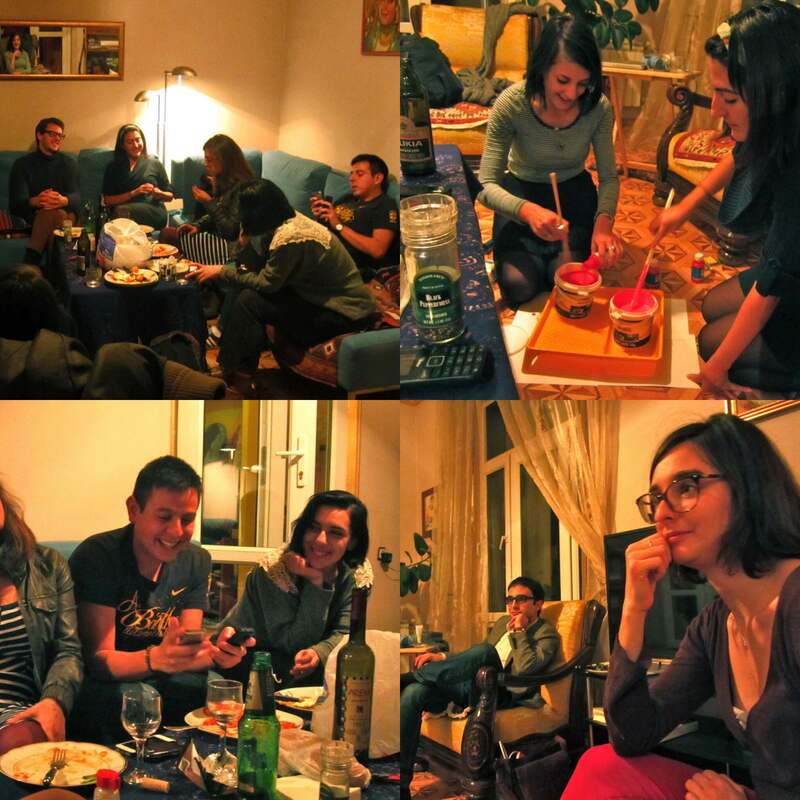 Get involved if you’re interested in the arts, if you want to be a part of a slightly crazy team working on big-scale, exciting projects, and taste Anna’s delicious cooking on team dinner nights. AVC/BirthRight volunteers: we partner with AVC/BirthRight so if you want to work with us, you can count us in your volunteer hours (provided AVC/BR and your other workplace agrees with you splitting your volunteer time). Send us an email to info.hayp@gmail.com, saying why you want to join the team and how you want/can help. Please indicate your availability & how much time you want to volunteer with us. Also make sure to include contact info (armenian number, whatsapp number), so we can meet up next week!